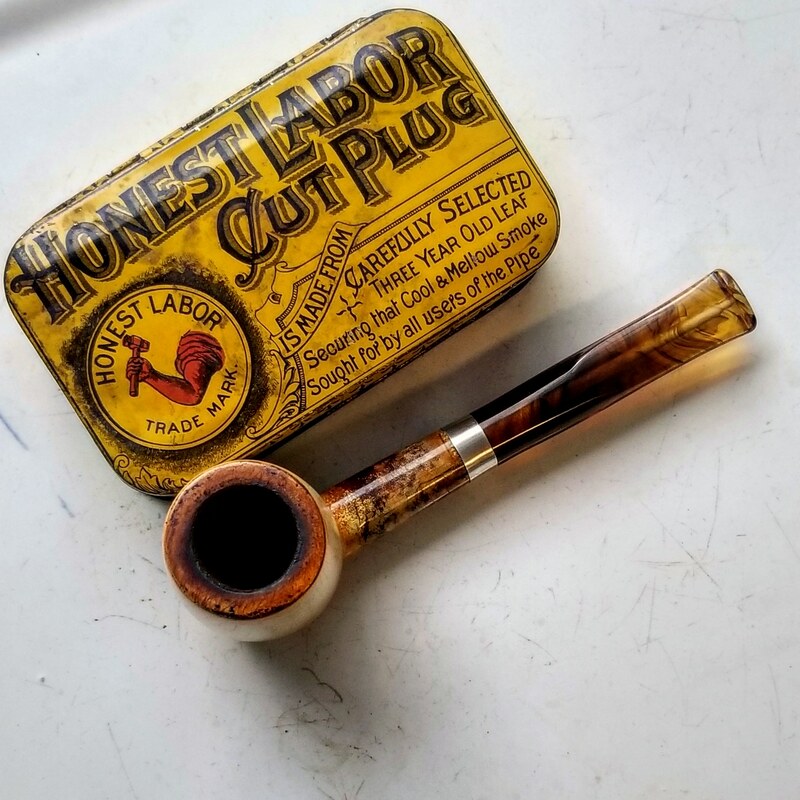 Smoking one of the best Lat blends in one of the best materials pipes has ever been made in, is a great first post. Welcome aboard! Hi Brion, it's good to see you here! Smoking Grousemoor in the FT zip meer and drinking a cup of PG Tips. At least the tea is hot, but not for long. 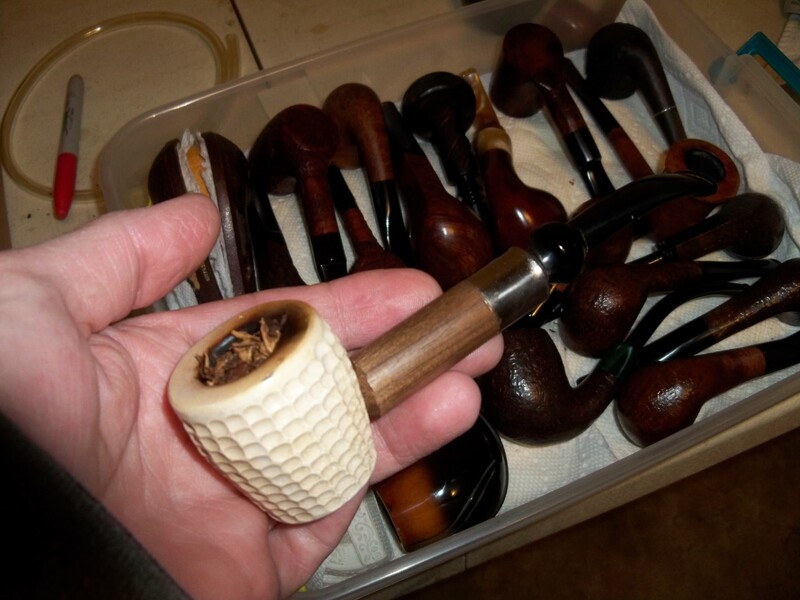 Mix of Mac Baren Virginias w / Three Sails Topper . . . Falcon w / Dublin . . . Diet Soda. 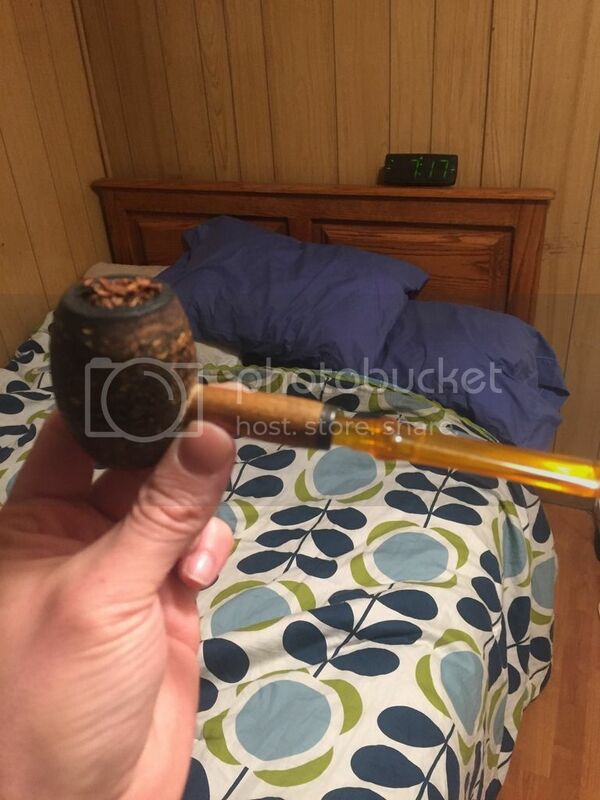 Just finished cleaning out an old MM Country Gentleman. Put on a brand new stem, and packed it with SWR. Tasting nice. good grief that CG is filthy! Seeing that, Fr. T has to be envious...!